Moving average (MA): this indicator is one of the most popular in trading in various markets. You can find plenty of articles concerning this indicator on the Internet. So there is no point in providing its full description. 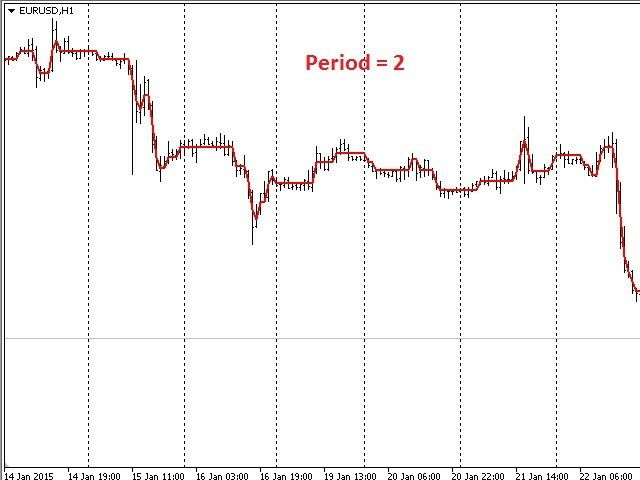 However, it is to be noted that there are several price averaging methods which eventually resulted in occurrence of numerous types of moving average. The MAStopTrailMT5 indicator is also a MA variation, but it has some advantages in contradistinction to the abovementioned one. Appearance: it has a stepped configuration as opposed to regular moving average. 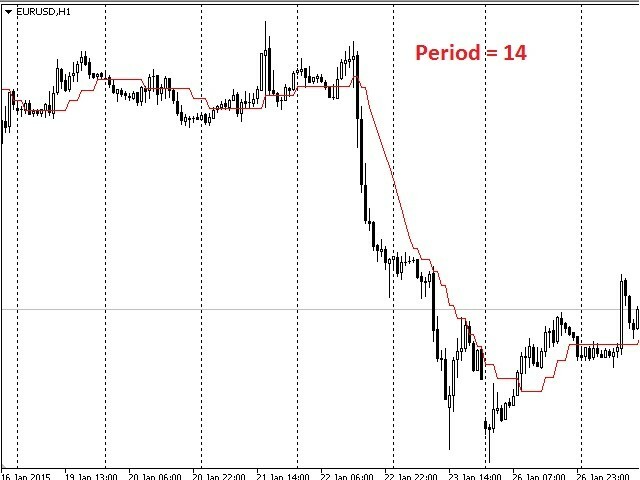 As the main task of this indicator is to specify levels for Stop Loss trailing, such shape fits in the best way possible. Due to its form, MAStopTrailMT5 makes levels which can act as support and resistance, and serve as a guidemark for placing pending orders or Take Profits. 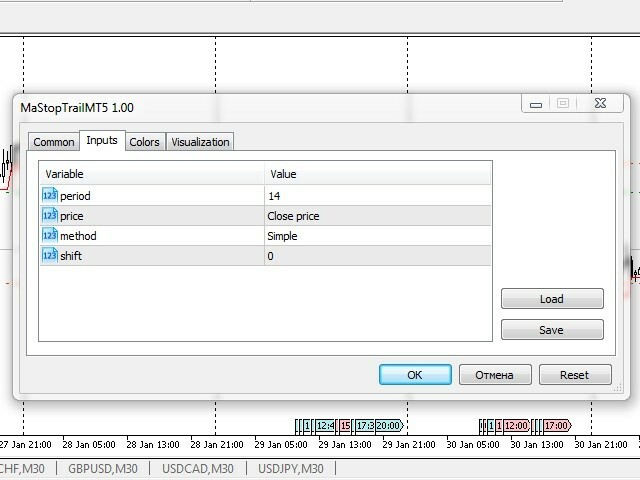 Combination of two MAStopTrailMT5 indicators with different settings can be used as a signal (when they are crossed) for opening Buy or Sell trades. Definitely the same can be done with regular moving averages, but employment of MAStopTrailMT5 reduces number of false moving average crosses. Identification of flat areas on a price chart becomes easier. period - period of averaging. price - price for moving average calculation. method - method of averaging. shift - indicator shift in a horizontal plane. When we open an order, we should find the latest shaped level (a horizontal interval). Stop Loss should be placed below/above (depending on a type of an order). Further, we should wait until new level is shaped. When it happens, we should transfer Stop Loss to the previous level. After that we should wait until next new level is shaped. Then we transfer Stop Loss to the previous level again, etc. Such approach allows to avoid early order closing.